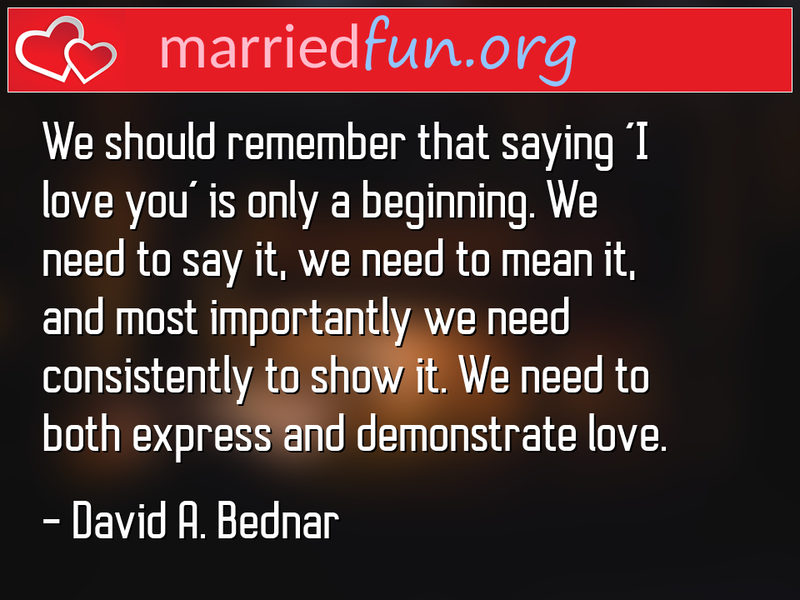 Love Quote - We should remember that saying 'I love you' is only a ... - Married Fun! We should remember that saying 'I love you' is only a beginning. We need to say it, we need to mean it, and most importantly we need consistently to show it. We need to both express and demonstrate love.